Synopsis In the world of spectator sports, there are of course the all-time greats: Football, Rugby, Tennis, Golf and . . . Lawn Bowls? Try as he might, Cliff Starkey (Paul Kaye) just can't keep out of trouble. In his sleepy home town on the English coast, nothing much inspires him . . . apart from bowls. Cliff dreams of playing for his country, but has always preferred following his own rules much to the disapproval of the stuck up local bowls club. When Rick Schwartz (Vince Vaughn), a slick American sports agent, takes Cliff under his wing, the bad boy of bowls' rock 'n roll attitude and outrageous hero antics soon turn him into a national icon, with hysterical results. 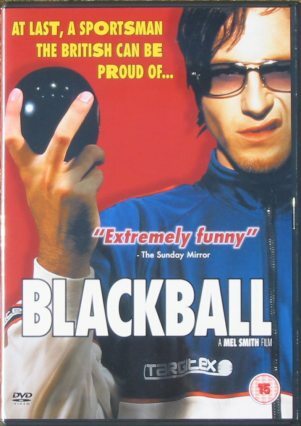 Directed by Mel Smith, Blackball is a hilarious British comedy that will quite literally bowl you over! Sample video clips of the DVD can be seen at Blackball's official movie Website here.